In spite of Uber's recent clash with the California Department of Motor Vehicles (DMV) over its driverless cars, the state appears ready to embrace the idea that cars don't need anyone behind the wheel. Or even a wheel, for that matter. The California DMV has come up with new regulations that would move autonomous vehicles from the testing phase to actually selling them to consumers and businesses. The proposals are just that -- nothing has been approved. DMV says there will be a 45-day public comment period and the department will hold public hearings. The first hearings will be held on April 25 in Sacramento. "Current law requires the department, upon application and payment of fees, to register vehicles that are being operated in the state," DMV said in the proposal. As Wired Magazine notes in its coverage of the issue, there is no "driver's test," such as a human must pass before getting behind the wheel. 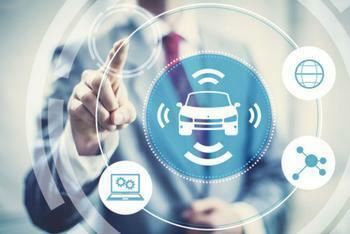 The companies registering the autonomous vehicles simply "certify" that the vehicles have been tested and are ready to roll. Drivers should probably ask themselves how comfortable they will be sharing the road with vehicles piloted only by a computer. Many safety advocates believe driverless cars will be much safer than those driven by humans, who increasingly plow into things because they are distracted. Driverless cars are certain to be sharing the road with vehicles driven by people for many years because they are likely to be very expensive, outside the price range that the average consumer can afford. No one has really talked much about how the this mix of human and computer operated vehicles is going to work. When Uber lauched a test of driverless vehicles in San Francisco last year, the California DMV ordered them off the road because the company had not applied for a permit. The state said Uber had to offer proof that it is financially sound, has qualified drivers, and guarantee that it will report collisions and other information to state regulators. Rather than argue with the state, Uber moved its test of driverless vehicles to neighboring Arizona. It is also testing driverless cars in Pittsburgh.